A few weeks ago, I said that I would post a weigh in on August 19th--the anniversary of when I first started losing weight back in 2009. I'd hoped that I'd use those few weeks to lose some of the summer weight I gained, and I'd feel really good about getting on the scale. Well, tomorrow is August 19th, and I haven't lost a single pound since then. In fact, I've actually gained a few more pounds. Recently, my weight has been hovering between 139 and 141. Yes, Friends--that's over my goal weight (133), and nearly 20 pounds over my lowest weight from March! That's roughly a pound a week that I've picked up since March. Jerry and I celebrated our 13th wedding anniversary on Tuesday. When he got home from work, we decided to walk to the bar near our house with the kids, and on the way, I asked Noah to take a picture of us. I was thinking, "Ugh, everyone is going to look at this picture and think I'm a failure!" But you know what? I'm so tired of feeling apologetic for my weight fluctuations (not that anyone is expecting me to). 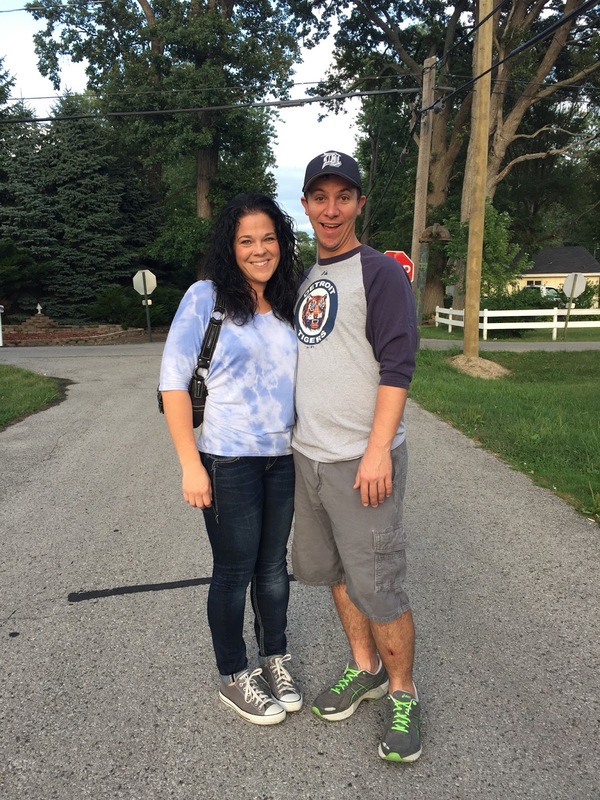 Without comparing this photo to a photo from early this year, I'd say I look very "normal" and healthy here. The only thing about this photo that bothered me was the fact that I was comparing it to early this year, when I was at my lowest weight--my racing weight, when I was at the peak of my 10K training and in my best shape. Looking at this photo without any other reference, I'm happy with how I look! I'm the first to admit that nobody is putting this pressure on me; I know that I'm doing it to myself. And it's time that I stop it! Maybe this is just part of MY "normal"--maybe MY normal is putting on some weight during the summer, and taking it off in the fall and winter. It's happened every year for the last six years! I always think that I need to work on fixing that for the next year, but maybe it's just the way my body works. My appetite is actually much higher in the summer than it is in the winter. Anyway, I've been feeling so bad lately that I'm letting people down or something because I still haven't been able to keep from gaining weight in the summer--but today, I'm done feeling bad. My BMI is still good, I'm a normal and healthy size for my height, I'm active, and all of my health numbers are great. There is nothing for me to feel bad about! There are so many more important things to worry about. I'm not saying that I'm "giving up"--I'm still going to work this fall to get back to my preferred weight of under 133, where I feel my best. And thankfully, I'm not too far over my goal this year! I should be able to do it in about 6-8 weeks. 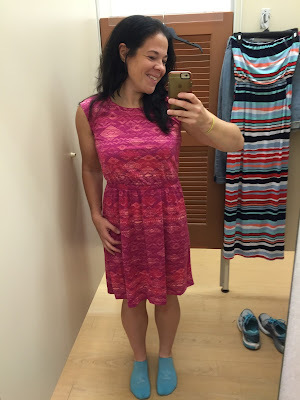 This morning, I went to Kohl's to get a couple of dresses for Virginia Beach. Since I'm not going to be at my goal weight two weeks from now when we leave, I might as well feel good about the size I am now. I found two dresses that I am very happy with! Pretty much every summer, I end the season by vowing not to gain weight the following summer. "I'll learn my lesson from this summer", I say. But, I'm not going to declare that this year. I may be at my goal weight when I go to Indy in May, and run a great race. And maybe I'll put on 10 pounds over the summer of 2017. And then I'll lose it again in the fall. Is that such a bad thing? In my opinion, no :) I'm okay with that. I always thought that I had to keep my weight fluctuations to a couple of pounds to be considered "successful" at weight loss--maybe five pounds at most. But for someone who has lost (and kept off) over 100 pounds for 6 years, having a greater weight fluctuation range isn't the end of the world. I am one of the roughly 5% of people who have lost a large amount of weight and kept it off! Maybe I'm not the "ideal" scenario, but it's clearly working for me. I just wish I had looked at it this way sooner, instead of feeling like I "failed" at the end of each summer. I'm nervous about posting this--I always feel nervous when posting such personal stuff. I think it just makes me feel vulnerable, because I know that there will be people who disagree with my thoughts. But, I feel the need to post this because it's almost a relief for me. I'm showing that I'm not hiding anything, that I'm just ME--imperfect, but doing my best to be the best ME I can be. As a long time reader I do not think you are a failure! 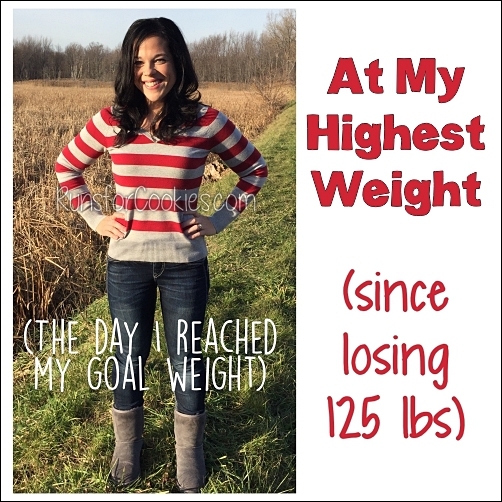 You've kept over 100 pounds off and that is amazing!!! It would have been easy to give up each summer after a gain, but you keep working to get that summer weight off. I'm proud of you, Katie! As always, thank you for sharing. I love your blog so much because you are so honest! I don't think you are letting anyone down at all- I'm always here to support you and cheer you on. Thanks for being real! There is such a thing as an "off season." 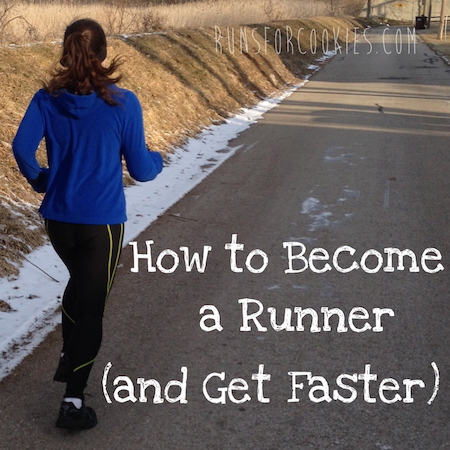 And given summer running conditions, I'm sure you're not the only runner that gains some weight in the summer because it's much harder to train at the same level as cooler months. You're not far at all over goal, so it's great that you see that and are learning to live with it. You look great and should allow yourself to feel great too! I think your mid-summer goal weight should be 140 and your birthday goal weight should be 130. Think about it - that's only a 10 pound swing over 6 months! Before you started this great journey - did you ever think you could maintain your weight with only a 10 pound swing? I bet not. 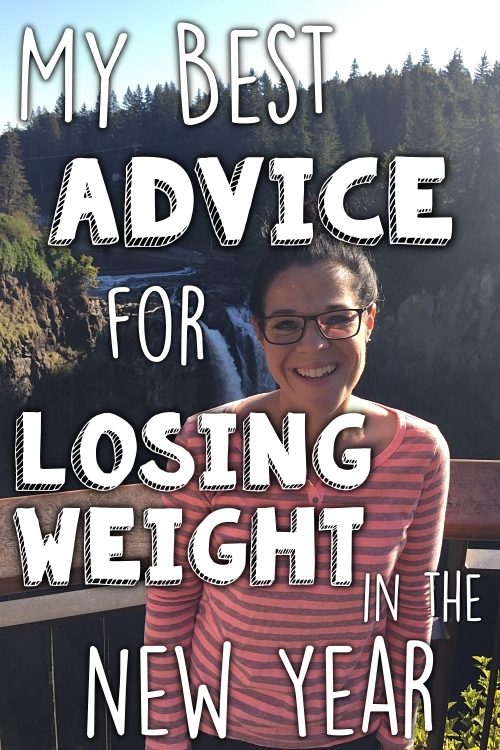 You've got so much knowledge and experience, you're not going to let a few pounds turn into more than that. Love your blog and your honesty and you have LOTS to be proud of! I recently just listened to your interviews on Half Size Me along with a LOT of others. You are far from a failure. You have just finally figured out and accepted what works for you. That's awesome! You have lost a significant amount of weight and maintained it! You are to be commended. If random readers are going to nitpick about your maintenance range they need to get a life. It's more important that you are doing what works for you and you are happy. They aren't you. Also, I go to TOPS (Take Off Pounds Sensibly) for support. When you reach your goal you become a KOPS (Keep Off Pounds Sensibly) and you are allowed a 10 pound range of your goal weight. So that is a very normal weight fluctuation. Thank you for sharing! Total honesty is always disarming. We all struggle with something, and many of us are not happy with our bodies. Those who don't struggle with their weight are struggling with relationships, finances, work, SOMETHING. Anyone who says they've got it all figured out or who only portrays a perfect life are hiding something. It's very helpful when other people admit to their struggles; it makes us all feel connected to our human nature, and we feel less alone. Thank you for the post. Your honesty and accountability are amazing. I lost 93 lbs 3 years ago but have gained 23 back. I often look to your blog for inspiration. Thank you for being "real." So many people have similar struggles and successes. In a way, we are all in this battle together and can encourage each on! I love the pink dress. It looks fabulous on you. Have a great time in Virginia Beach. You are an inspiration to me and I love your honesty. Thanks for sharing YOU with all of us! Longtime reader, infrequent commenter here. I'm so happy to read this post and that you're getting closer to a happy place with your body image and weight. I think that 130-140 is meant to be your body's happy range. FWIW, The reason they call it "racing weight" is because you're only supposed to be at it the week or two leading up to your race. Even professional athletes gain a bit after a goal race. Good on you, Katie - this sounds like such a healthy approach. A 10 pound fluctuation (or more) seems perfectly reasonable to me, particularly if it means a more enjoyable summer. I'm the same around certain holidays: I accept that I'll put in a bit because I don't want to be so diligent about tracking and I want to eat out more and it's not a huge drama to take it off slowly after the fact. This is your life and you've got to work out what works for you. I really love your attitude. Who cares what you look like a healthy lifestyle is much more important. Proud of you! You have nothing to be nervous of. You're doing and feeling great about your body so that's the important and only thing that should matter. Keep going! Like others it's good to hear your human & normal. It's easy to say you shouldn't feel the way you do but sadly I think that is "normal" too - even if it shouldn't be. We all shouldn't care what others might think or say, but we do. Normal isn't always what we think is right or what is "right". Our bodies are meant to have a weight range. When we get out of that range we need to make adjustments & work back to where we were. Even the fittest healthiest people have to do this. So I say stop giving yourself a hard time & just get back on the train. Now if I could practice what I preach instead of falling further & further back. ;( I have no judgment, I can't because I'm not perfect either. ♡ hugs. Great reading about your positive attitude. I like that you're not beating yourself up, but being okay with what happens in the summer and looking at all of your incredible successes. I can't even believe all that you have accomplished with your running! BTW, I've given a bunch of people your summer running tips, especially the visor one! My problem is injuries in the summer. I have the summers off, so I really amp up my running and riding which aggravates my achilles tendonosis. By the end of August, I can barely walk. :( Have fun at the beach! You look amazing!You should be proud of how much you've achieved! Nobody is judging you for being human so please go easy on yourself too. Thank you for being an inspiration and sharing even when you're at a low point or feeling nervous about it. The easiest way out would be, like so many weight loss bloggers, to stop blogging when things don't go as good as you would like them to be. I have so much respect for the fact that you talk about these things, it makes you very very normal and easy to relate to. 2 years ago I had a perfect weight, then my brother died, and I gained at least 10kg back. Does this make me a bad person? No it doesn't. You give me inspiration, and please keep posting these honest blogs, you have no idea how helpful this is to so many people. You are right, you look healthy. Things will work out fine, I'm sure of it. Greetings from Lieve from Belgium. I have to agree with the person who commended you for not taking the easy way out and talking about when times are tough. That approach is what makes your blog so compelling to all of us who struggle with the same issues. Kudos to you for your courage and honesty! And yes, total agreement with all those who said you look fabulous in the pink dress and think your plan for conceptualizing your weight fluctuation in the future makes absolute sense. And one completely trivial question: is the striped dress in the background a tube/strapless dress? If so, I'm impressed -- I can't wear those dresses at all and they are everywhere (along with off-the-shoulder tops) this summer!! Thanks for sharing this, Katie! I go through similar fluctuations, and for me it's scary because once my weight starts going up I think it'll KEEP going up forever. I think you look awesome and I hope you're proud of yourself. I am in a better place mentally right now and working on getting it back to the 140's. I hate to put a number on it but that is the range I feel most comfortable. Sometimes when others always eat well, keep their weight low, and exercise religiously makes my head keep asking, "Why can't I be like that?" seeing you keeping it real here and that you are "human" in my eyes...makes it even better. **Not that you should have to struggle/gain weight to be more human** but, just that we all do struggle at times and life is hard but we keep going and work through it. The dresses are cute...and you have done an amazing job keeping off that 100 pounds. I agree with all the above...reading your blog for a few years and rarely comment but just have to say that you are the only blog I follow....I'm not on social media, just a novice runner who found you a few years ago. I don't struggle with extreme weight loss, my biggest loss was about 40 lbs after a little bought of sadness/depression a few years back. What I like is that you struggle to maintain...because that is life. It's every day work. Not just some quick extreme success story. Unfortunately that's what most people like to read about because they like quick fixes. Maintenance is monotonous and often boring for some people to read about...but that's real. Somehow block out those haters Katie, keep posting. You have so many people that like to see your day to day monotony with occasional craziness/fun/extreme...that's real life. Thanks! Sorry, should have correct my auto-correct...bout, not bought of sadness...haha, certainly didn't buy sadness! Katie, I've been reading your blogs for quite some time and was your sparkfriend on SparkPeople. I admire your honesty, you're very brave to share your feelings and thoughts with everyone. You have been a inspiration to me and I have learned alot from you on calorie counting and behavior modification during weight loss. Don't feel bad about your summer gains. I gain every winter 10-20lbs. I go into what I call'hibernation' mode, feel less energetic and eat more for comfort with the shorter daylight hours. I've accepted that's just just how my mind and body during the winter months and even early spring 'rolls.' :) During the summer I feel more energetic and don't have as many food cravings and can lose weight more easily. You are the opposite. I know this shall pass for you!! Love the dresses! First of all, you look great!!! I know it's hard, but you should be so, so proud of the fact that you've kept so much weight off for so long. And from what I can tell you, you haven't even come close to gaining all the weight back. You've definitely beat the odds on that one! I came to your blog way after you loss your weight so for me you are a normal person who gains and loses weight like me or my best friend. I always see you pretty and healthy and it made me sad that you didn't see it that way. Anyways, reading this today makes me really happy, like if you have heard all I've been trying to tell you (without actually saying it 🙈) for the last two years. I should email you one day to see how I look at you! Come back to this post as many times as needed so you don't forget how awesome you are! You are so healthy both in mind and body. Sometimes I think we have to do something the same way over and over before it dawns on us, hey this may be the way it is I can accept it. It doesn't mean we aren't successful or going to continue to work towards goals. Its just maybe we take a step back and look at things differently. you have done one of the hardest things possible. The pink dress is a fabulous color. I just want to say THANK YOU for such an honest post!! And you shouldn't have been nervous!! Honestly, this is soooooo relatable and really something I needed to hear right now. And I think you look AMAZING! Plus, those dresses look super cute. Just keep on being you! Good on ya girl! People who may "disagree" with your line of thinking have their own issues and can take a flying leap. You do what makes YOU happy. Happy belated anniversary and have a great weekend! Thank you. I'm so proud of you. You help me so much. Thank you for sharing! I agree with what so many have said - we are all our worst critics, and I've never seen you as a failure. I've been reading your blog for at least five years now, and I keep coming back because you are so honest and relatable. Never apologize for being you, because that's why we all follow you - we like you! You're right--you look fantastic! Like you I've kept off over 100 lbs. for over 5 years, with some blips (aka regains) here and there. 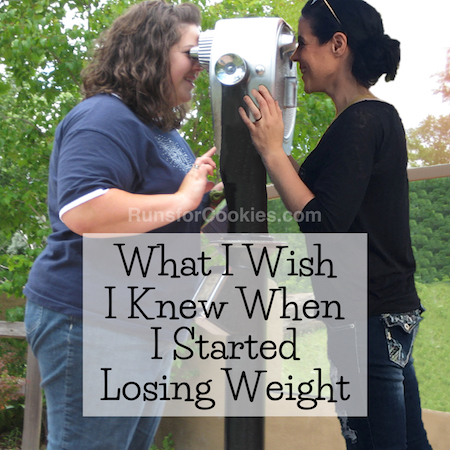 Does an ideal weight loser exist? Maybe. But I'm not one either. As of this morning I'm only 5.8 pounds from returning to my 150 lb. goal, after hitting 203 lbs. last Fall. I guess Holiday Season is my tough time. Once I allow myself a few treats, I can't seem to STOP. I've been going through pictures, putting together a wedding video for my son, and at least to me, the weight gain was horribly obvious, hopefully not so much to the casual observer. We are much harder on ourselves that anyone else, I'm glad you are accepting that "what it is, is what it is." We are successful, but we're not perfect. 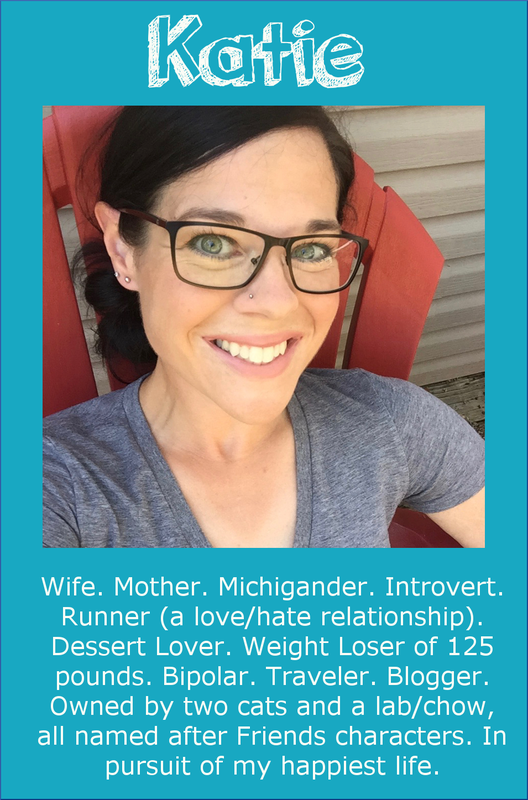 Your honesty is as inspiring as your weight loss. So many others have provided thoughts inline with mine, but you are inspiring to many of us. You're healthy that's all that matters! Awesome post! I've come to the same realizations for myself and weight fluxes too. I think it's important to recognize that if you feel good about yourself, even if it's 10lbs up from your goal weight, then that is awesome! Your body and your weight are never going to be able to stay exactly the same. We have so many different seasons of life and I think the best thing we can learn is accepting and loving ourselves in all of those seasons! You're beautiful no matter what. It's great you're recognizing that you're healthy as is, even if that's different than what you were last year. Also, I've come to realize for myself too, that I am a person that is going to flux, and that is OK!! Some people don't have fluxes, and some people do. That is nothing to feel ashamed of. Thanks for this honest post! If you're hungrier in summer and putting on 5-10 (or whatever) pounds has been your norm for 6 years, well, then, maybe that's just you doing you! There's no need to apologize! I consider you incredibly successful with the weight loss thing, and envy your persistence. You look great in that photo and you don't have to live up to anyone's standards or expectations except your own. Those dresses look really cute! Have a great time! You amaze me! Thank you for always being honest and sharing; you help me realize the journey never ends. Summer is so hard for me -- I'm an educator, so my fall-winter-springs are always super scheduled out. There's no real time to eat out, so meal planning and prep is more spot on. Something about breaks messes up my schedule and I just feel like snacking the whole day! It's so nice to hear you extending grace to yourself and that is so inspirational! After all, life moves on, right? I think you are great, Katie. You are such an inspiration! 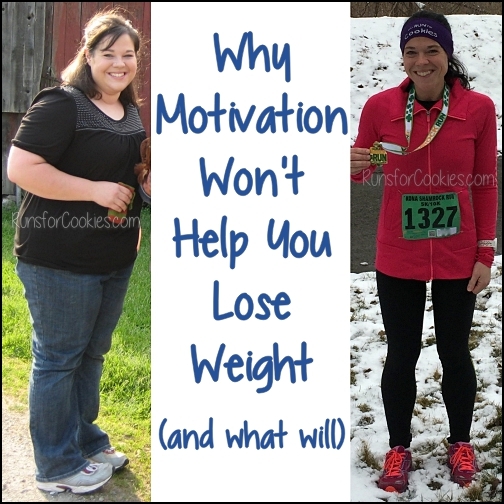 Weight fluctuation isn't a moral failure or really any kind of failure. Taking care of yourself is truly what matters. Hey Katie, summer seems to be harder for me too. Heck, I gained 10 pounds in a little over two weeks betweeen two weekend get aways and having company in town. However, I thought a lot about your posts and how your body tends to add weight in summer and let go of it in fall and winter -- which is much like mine. So I embraced it and just got back on track (no drastic reduction in calories, just went back to what I would normally eat when not traveling, entertaining, etc) and within a week I'm down 6 of those pounds. Bigger fluctuations (10 pounds vs five) seem normal for my body since I tend to store water like a camelbak :) I'm so happy to read that you are being kinder to yourself about it and accepting what seem to be your natural, manageable swings for yoru body. I also really appreciate the more personal posts. Enjoy the rest of summer. You've got this! Thank you for sharing your heart, and for showing us what true courage looks like. I continue to be so, so proud of you, and the dresses are so cute!! Weight fluctuation is normal and the sign of a healthy body, and it's so great to read that you are going to accept it! I lost nearly 150lbs almost 9 years ago. I developed an eating disorder and became very unhealthy trying to maintain a goal weight that went lower and lower. I'm recovered and maintaining a "weight range" of 32lbs, as prescribed by my recovery team, all set above my lowest goal when I was sick. I mountain bike, trail run, and hike and work hard to accept that I seem to fluctuate within the same 15lbs within my range. I never thought bodies were meant to fluctuate that much, but when you are athletic, it's very normal! You are beautiful, healthy, and making the most of life. That is most important! I really think we are our own worst critics. Thank you for sharing this post. That dress is really cute and a really good deal too! You look precious in that pink dress. I work with college students as a mental health professional and often recommend your blog to them. Thanks for being honest and open with your struggles. Summer is difficult for me because I live in the deep south, and it is just TOO hot to be outside for any type of exercise. You continue to be an inspiration especially in light of your struggles. Thanks for sharing all of this with us. Thanks for being so brave and posting your thoughts and feelings. As someone whose weight tops out at around 254 lbs, I think of how wonderful it would be to be 141 in the summer! You are fit and healthy! I'm happy you are excepting your fluctuations! I'm also a long time reader but post rarely.... Thanks again for sharing your ups and downs! Yes! This may be your best post ever! I'm so excited for you! Add me to the list of people who aren't judging you at all, who agree that it is COMPLETELY NORMAL AND OKAY to have weight fluctuations of more than 2-3 lbs., and that you are and have been doing an amazing job for years. You're a success story, but you're also a normal person. You'll go through hard times, down times, etc. and that will naturally bring about some changes in behavior and diet. The most important thing is that you've changed your attitude about health and eating forever- you're not the same person you were 7 years ago. I'm relieved for you to read that you're taking this summer pressure off yourself- it isn't a free pass to go nuts and overindulge. It's just a better acceptance and understanding of how your individual body works. I so needed to see this post. I'm not at my goal weight yet, but i have lost over 100 lbs and I'm still wanting to lose the rest, but this summer has been awful. There are so many fun things to do that include eating and drinking! Combine that with a huge project at work that has kept me from getting to go to the gym as often as I want, along with the "I NEED A DRINK" nights after work, and I'm up about 9 lbs from my lowest. Here's to the both of us getting back on track. Good luck to you! You are a huge inspiration. Hi Katie. You are not alone. I struggle so much in the summer as well. Thank you for the reminder that fluctuations are normal. You are very fit and healthy and you've worked really hard. I always appreciate your honesty and it helps me so much. You are very brave and thank you for sharing! I struggle in the summer too and I think a big part of it as a teacher the lack of structure and the idea that so many "fun" event involve food. Your idea of this being your "normal" is so spot on because I think knowing that and knowing you have a plan makes all the different and you can stop feeling bad. You look beautiful in the picture above and very healthy, but I get it-I am the same way. Always fixed on a "number". Thanks for sharing your journey. You are an inspiration. I think that's awesome! Good for you for being honest and not just disappearing from cyber space. You are an inspiration! I have been following your journey for a year now and have to say you've been very inspirational for me and seeing you struggle makes you more real. I think if it all seemed so easy for you, you wouldn't be as relatable as you are. And knowing that as I lose more weight I will probably have some fluctuation of that in years to come helps me mentally prepare for it. Right now I'm down 16 lbs, which has been really slow, but I'm starting to run (just finished week 1 of C25K) and am completing 45 miles this month which is my highest ever, and I'm doing weights and exercise classes on top of that. I'm feeling amazing! Still have 50lbs to reach my comfortable weight and 60 to be at my ultimate goal. And I too am seeing a therapist for emotional eating and depression/anxiety and feeling so much better these days. Thanks for being real and sharing! Hi Katie,I think you are doing amazing and look amazing. Summer is probably tougher for all moms who have little ones home and out of school. First your routine changes and kids are snacking more. I know when my grand dolls are over I eat more than I do during the week. Congratulations and thanks for sharing your journey so openly and honestly. That is why we love you! You are far from a failure!! You are a normal woman! I'm so happy you keep it real with your readers. This is why I continue to follow your journey. Thank you for posting this! The same thing happened to me this summer. I've been losing weight since 2013 & this is the first time I've gained back more than 5 pounds. I felt like a failure but someone commented that I've come so far since losing 50 pounds in all. Keep up the good work & be happy with where you are!